Agriculture has always been an industry rooted in science, but more and more it seems the advancement of technology is exploding in the number of applications that improve the way we grow food and fiber today. 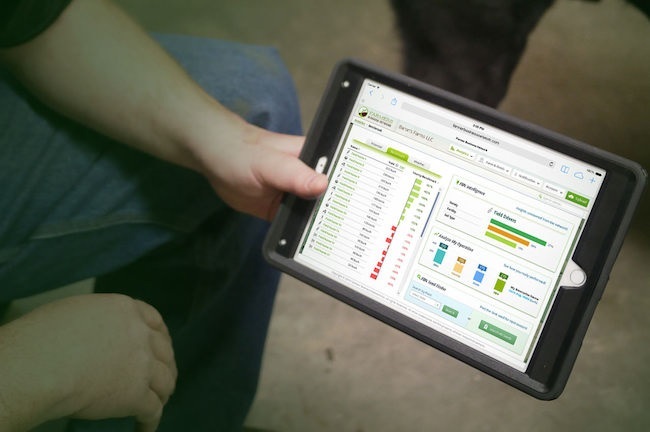 Leading this technological movement is the Farmers Business Network. Established only two years ago, it is the fastest growing company in agriculture right now. RON’s Associate Farm Director Carson Horn had the chance to speak with FBN Co-Founder and Vice President of Products Charles Baron who says FBN can save farmers tens of thousands of dollars on their inputs and significantly increase their bottom line. FBN can save participating farmers upwards of 50 percent on major inputs, simply by working directly with manufacturers for products including agrochemicals, seed treatments and even fertilizers and ships the product directly to the buyer. The online community built through FBN essentially creates a national price system so a producer in Oklahoma can expect to pay the same price as a grower in Illinois or North Dakota for whatever product they buy. Also, by participating in the network, farmers have access to local information derived directly from the farmers in their area. This creates real understanding of what tillage or fertilizer practices or what seeds are working best in the region where you farm. With this knowledge, you will know exactly how to plan for the inputs you need to buy, regardless of what the retailer may be saying. FBN is extremely user friendly, too. If you can send an email, says Baron, you can use FBN’s analytic tools. FBN is hosting a national conference in Omaha, December 12-14, 2016 called Farmer2Farmer. Interested in attending? Click here to learn more. Listen to Horn’s full conversation with Baron about Farmers Business Network and the benefits farmers can take advantage of as members, by clicking or tapping the LISTEN BAR below.